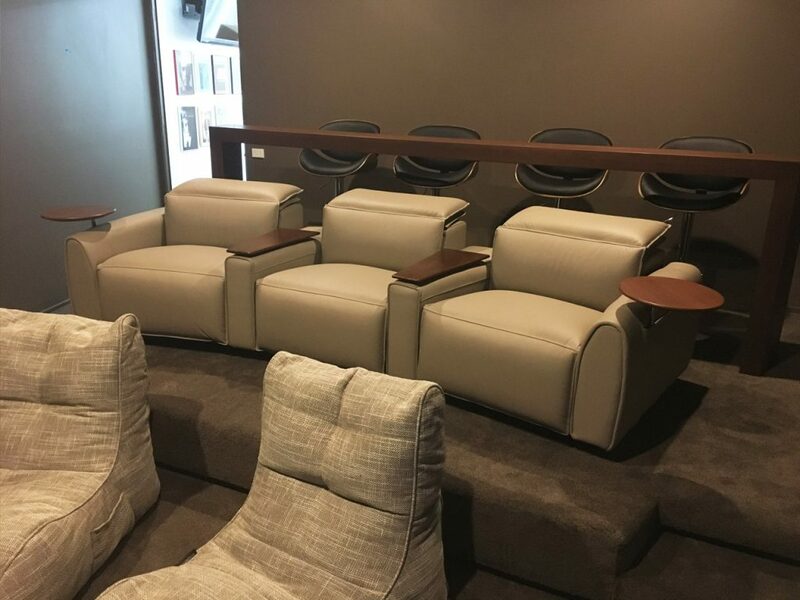 When it comes to family entertainment, enjoying the latest movie blockbuster in your own home theatre is proving to be a popular option among many. 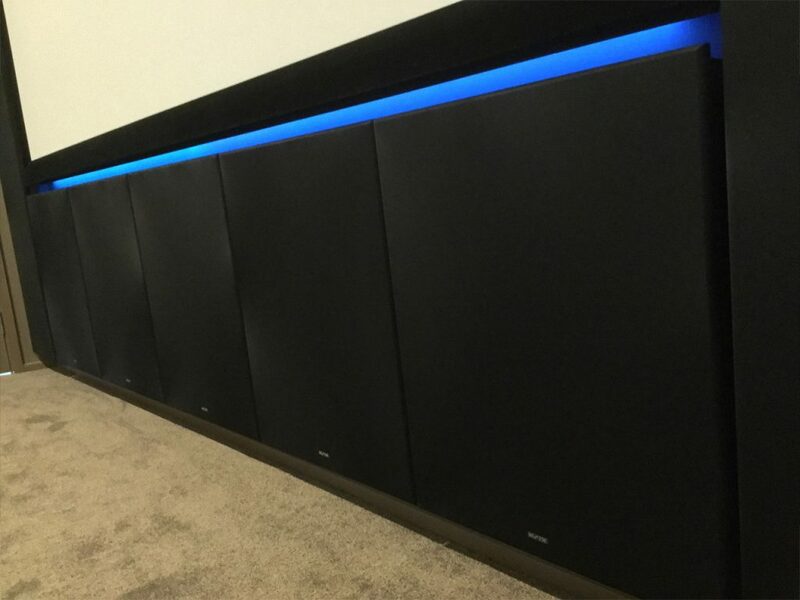 While many dedicated hi-fi and home theatre dealers have experience in designing and constructing the room itself, some die-hard enthusiasts decide to take the challenge on themselves. While not for the faint of heart, the process and end result can be incredibly rewarding. Enter Paul, a carpenter by trade, who wanted to build a home theatre that could be enjoyed with family and friends for movies, and some serious hi-fi listening when he had a quiet moment to himself. Knowing he had the skills for the construction, Paul visited his local dealers for some advice on the components and acoustics. 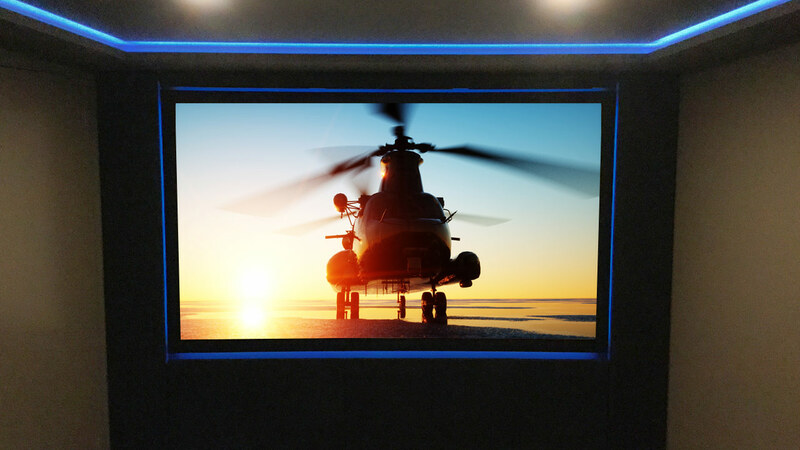 Before long, Paul had decided that an acoustically transparent projector screen was the way to go – he wanted a clean look while maintaining quality of sound. Soon after, Paul found himself on the plane to Adelaide for a visit to the Krix factory. It’s safe to say that when Paul arrived with a mini scale balsa wood model of his room, we knew he didn’t do things in halves! 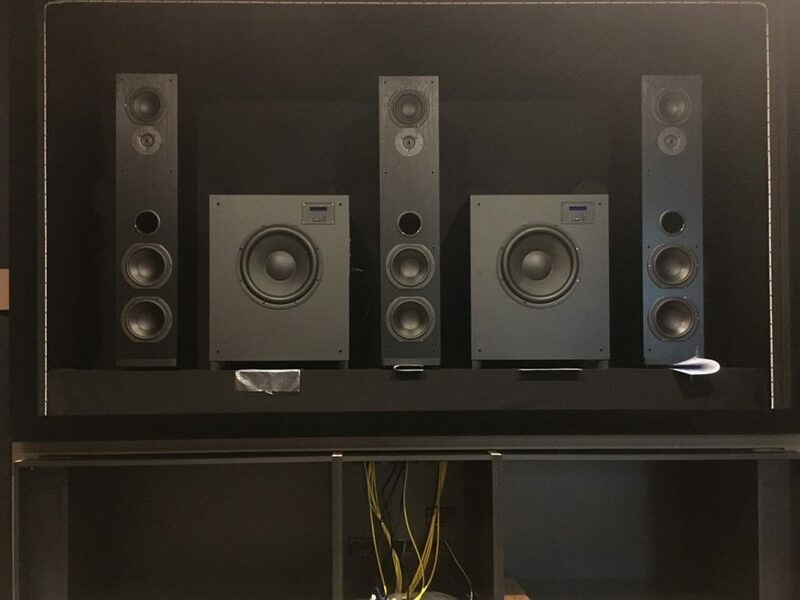 Being an avid movie and music fan, Paul decided that the Harmonix Mk2 was the speaker for him, enjoying their presentation and presence for both music and home theatre duties. Being front ported, they allowed him to keep the cavity behind the projector screen relatively shallow, leaving more space for the room. Paired with two Volcanix Slims, it also meant the whole front soundstage could explode through the picture while still being hidden from view. With everything hidden behind the screen, Paul could get away with a luxury most can’t. Three identical fronts! The whole speaker system would comprise of 3 individual Harmonix Mk2, a pair of Dynamix Mk2, four Atmospherix A20’s and two Volcanix Slim subwoofers. The latest blu-ray movies were going to be a significant portion of his viewing time, so Paul was eager to utilise a 7.2.4 system to get the most out of the latest Dolby Atmos and DTS:X soundtracks. Over the coming months, Paul constructed the front false wall, speaker platform, riser and even a bar top for the back row viewers to enjoy a beverage while watching sports. Kids at the front, more serious viewing in the middle, and chilled up the back – we like it! The synergy between lighting, colour choice, textures and materials creates an incredibly warm and inviting atmosphere. After a few short breaks in construction, Paul contacted us again to give a progress update and ask a small favour. He had made panels and doors to go around and under the screen, but needed some help getting them covered in a uniform matter. Much like a speaker grille, we had the right tools for the job. A couple of weeks later, Paul had the panels back with accompanying Krix badges to round them off. With the amount of time and effort that Paul put into designing and constructing the room, we’re not surprised with the end result. 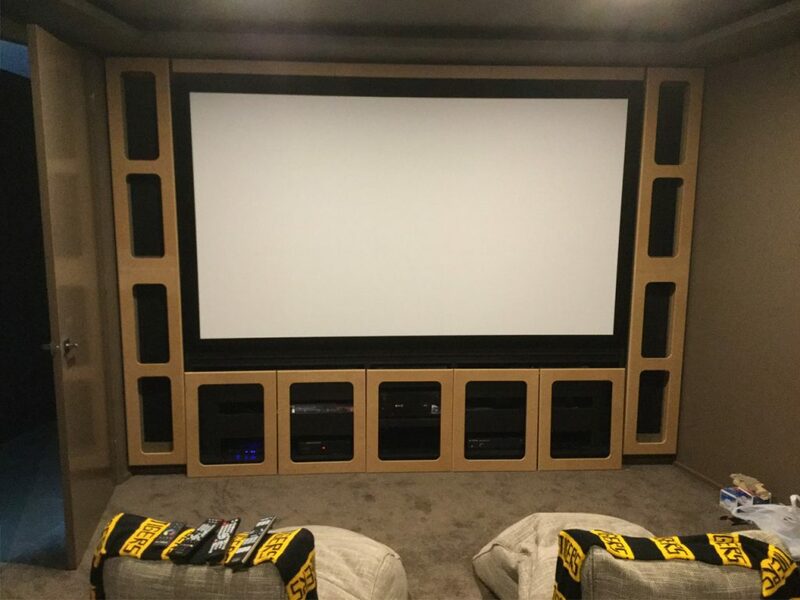 A testament to his vision and workmanship, the dream of a dedicated home theatre room is now a reality.